Scarlett, my great-granddaughter, was less than one day old when her family was informed of her congenital heart defect. So many emotions filled that day… disbelief, shock, fear, worry. I am still so impressed with the strength her mom (my granddaughter) and her dad demonstrated during those first few days and weeks. Their outlook, always positive, helped me and other family, so many miles away, come to grips with Scarlett’s diagnosis. For 66 days Scarlett’s home was the NICU, her mom rarely leaving her side. Thank goodness for Ronald McDonald Houses… they were a godsend during this time. On October 31st, her mother’s birthday, little Scarlett had corrective open heart surgery. Nine days later she was discharged from the hospital and came home for the very first time. 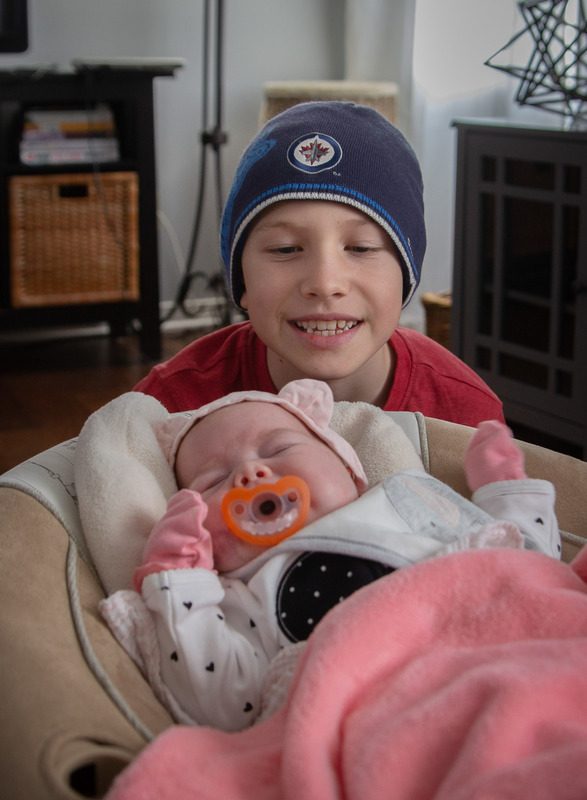 One day after her arrival home, her Winnipeg family were there to meet her and hold her… our hearts overflowing with love and gratitude. She is our little warrior baby… our little Supergirl.